Austal launch the first-in-a-series Cape Class Patrol Boat at the company's Henderson Shipyard in Western Australia. The vessel is the first of eight new boats being built by Austal for the Australian Customs and Border Protection Service under a design, construct and in-service support contract valued at approximately A$330 million. The ceremony marked the first time the boat has been lowered into the water. Following maritime tradition, specially minted coins were placed under the keel block of the vessel as a symbol of good fortune in June 2012. These were removed prior to the launch and will be presented to the boat at a later date. The boat was then lowered slowly into the water using Austal’s slipway facility. 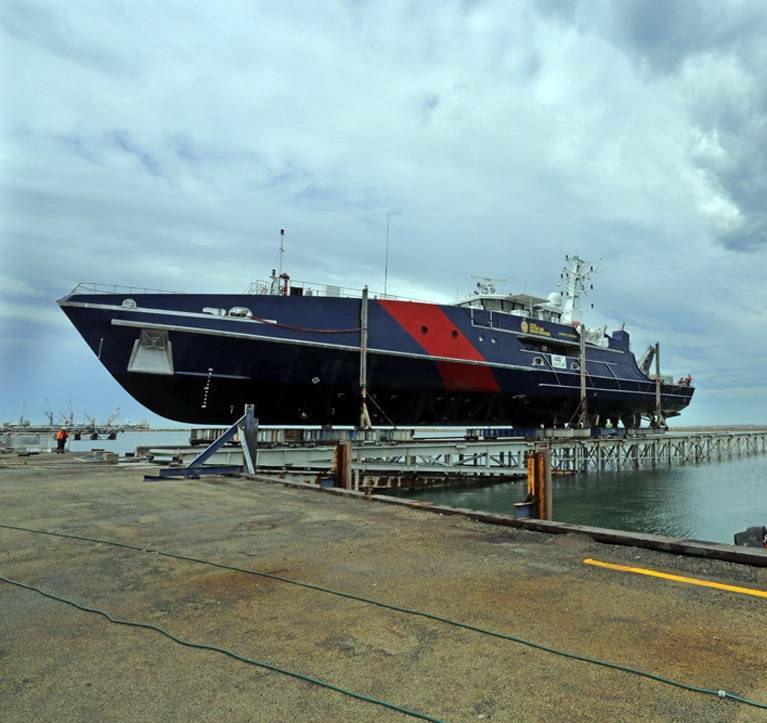 With the vessel in the water, Austal can complete the manufacture and perform sea trials prior to delivery to Customs and Border Protection and an official naming ceremony, both to take place in March 2013. As prime contractor, Austal’s role extends beyond the design and construction of the vessels. The company is also using its in-house expertise to develop and integrate sophisticated electronic systems for command, control and communication. Austal Chief Executive Officer Andrew Bellamy said the ceremony recognised the tireless efforts of its staff and suppliers in meeting a significant milestone on a strict production schedule. “I am proud of the efforts of our Henderson team to be able to deliver on the first of these high performance patrol boats,” Mr Bellamy said.